The phones were ringing off the hooks in the general investigations division of the Bremerton Police Department Tuesday morning. The calls were in response to an article published Monday afternoon regarding the arrest of the reported ringleader of a property theft ring. As police sift through property they believe was stolen in the ring and stored at a house in West Bremerton, “dozens” of people — presumably people who saw the story — called into the detective division to inquire about the goods recovered. Crane reminded me that while the calls can potentially reconnect people to their missing items, it is important that, after such a theft, owners file a police report as soon as possible. That way, if ever your stuff is recovered, police will be able to contact you. And, if you really want to be proactive, mark expensive electronics with a unique number, or note the serial number, to help expedite the process and increase your chances of getting stuff back. For more burglary tips, click here. There are no guarantees when it comes to letting a camera roll inside a Washington state court. I had mentioned on an earlier blog that most every time I’d been in our local courts and requests to film — generally made by the TV news networks — had almost always been granted. At times, a judge will ask the TV stations to “pool” their filming, which is a way of saying that one camera would be allowed in court and that station would have to share its footage with others seeking it. A “John Doe” had commented on the previous blog that he doubted courts would be so open to filming. So I decided to go to a judge to get some answers. 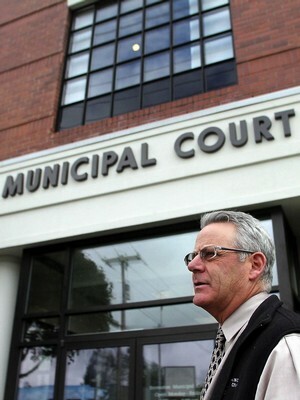 In short, judges can be choosy about who they allow to film — and they can say no for various reasons, reports Bremerton Municipal Court Judge James Docter. “There is a court rule that addresses filming court hearings. It is GR-16. The rule specifically addresses media filming, rather than filming by the public. There are many articles and some cases on the subject of filming in the courtroom, but most of them relate to the media. So the subject you raise is not clear cut. Generally, a member of the public would need court permission before filming. The judge has a great deal of discretion when deciding whether to grant a request to film, and would need information about the request. In particular, we would want to know what is the purpose for the filming, and to whom will it be published? We would prohibit any filming intended to embarass, harass, intimidate, threaten, torment or humiliate or unreasonably expose others. We would want to know who is going to be filmed, and we would allow them a chance to object. We would need to make sure the filming did not disrupt the court proceedings. I doubt we would allow it “just for the fun of it”. Perhaps if it were for a school project or a documentary we might allow it. Judge Docter has served as Bremerton’s judge since 1997. 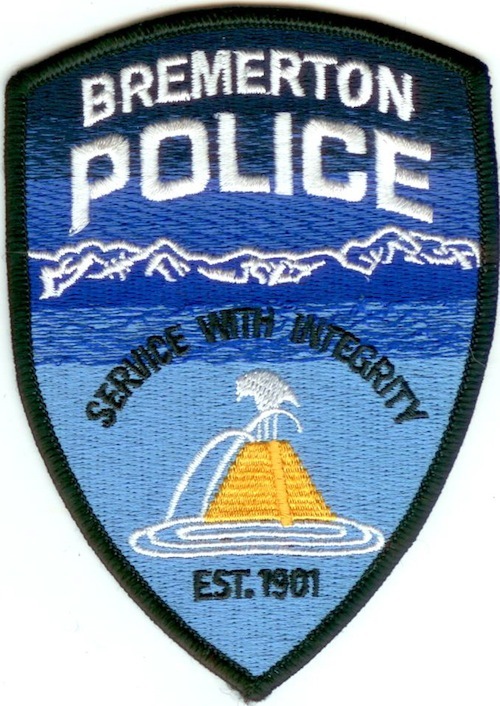 A man has filed a lawsuit against Bremerton police alleging that the department allowed a stolen SUV to be purchased at an auction. Why does he care? Because he bought the SUV. His lawyer says in court documents that the Washington State Patrol came knocking this past summer after he’d purchased the SUV. Informing him it was stolen, they seized the vehicle — though he had paid for it. The lawsuit says the SUV was seized “during the course of drug enforcement activity,” by Bremerton police. Eventually, it was put on the auction block. “The Bremerton Police Department knew or should have known that the vehicle was a stolen vehicle prior to the point in time in which it offered the vehicle for sale at public auction to the general public,” the lawyer wrote in documents filed Sept. 21. The city will provide a response to the lawsuit, according to assistant city attorney Mark Koontz. In the meantime, its attorneys are still gathering evidence, he said. I’ll keep you posted. There was a time when Bremerton’s police officers would often hand over a motorist suspected of drunken driving to a Washington state trooper. Since organizing a traffic division about five years ago and beginning an increased traffic and DUI emphasis inside city limits, the numbers have soared. In 2005, there were 107 DUI cases in Bremerton Municipal Court; in 2010 there were 276, according to numbers I obtained from the city this past week. 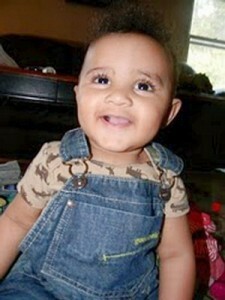 There have already been 249 cases in 2011, through Oct. 3. An emphasis patrol conducted by the department’s graveyard shift — known as “Third Watch” — netted 15 arrests in three nights between Sept. 29 and Oct. 1. I asked Billy Renfro, one of the two third watch sergeants, a series of questions about how it went and what it accomplished. JF: How well did the emphasis go? BR: Both (fellow third watch sergeant Rich Cronk) and I thought it went outstandingly … we were handling area calls in addition to the DUIs. I was really impressed with the entire shift as a whole. The officers that were not directly involved with arresting DUIs were covering calls and assisting with transports to the jail. JF: How did officers strategize to seek out additional DUIs? BR: I don’t know that we had a specific strategy, other than ‘Let’s go out and make traffic stops’ …The DUIs will follow. It was a city wide emphasis, although I think a majority of the stops occurred on the east side of town. JF: How many officers participated? BR: Each night we ran 5 to 7 officers and we had a reserve officer on one of the nights, which really helped with the transports. JF: How does this kind of proactive patrolling benefit the city’s residents and public safety as a whole? BR: The benefits to the safety of the commuting public is something that I don’t think we can ever really measure. I am absolutely convinced that the officers of Third Watch have saved lives and prevented damage to property with every DUI driver that is arrested. And this is something that the Watch eagerly pursues. It’s not something that Rich and I have to come in and force them to do. In closing, I’m extremely proud of the efforts put forth by the entire shift, but specifically impressed with (Master Police Officer Matt) Thuring, Traffic Officer (Don) Rogers, Officer (“Duke”) Roessel, Officer (Steve) Polonsky, and Officer (Steven) Forbragd. If you didn’t know what in the heck “smishing” is, you’re not alone — I didn’t either. But the basic gist is this: Smishing is a new scam in which nefarious individuals pretend they’re a bank and send you text messages on your cell phone asking for personal information. Consumers began contacting the Attorney General’s Consumer Protection Division early this week complaining about calls to their cell phones from those posing as Wells Fargo employees. An automated voice suggested that the customer’s account has been breached and directed them to “press one” for assistance. They were then connected to a person who asks for sensitive account information. Many of the calls came to those who don’t even have Wells Fargo accounts. As the week progressed, the scam morphed to text messages from those posing as representing Bank of America, Chase, Citibank and Capital One. “Phishing” scams trick consumers into turning over account numbers, PINs, credit card security codes, usernames, passwords and other sensitive information. “Smishing” is a similar scam launched over SMS (Short Message Service) messages – better known as text messages. Scammers have long phished by phone and email. The text scam is a somewhat new variation. The Attorney General’s Office recommends that consumers never respond to any message requesting account or personal information. Instead, contact the institution using a phone number from a statement or from your bank or credit card company’s official Web site. Phishing and smishing are criminal acts that the state Attorney General’s Office lacks authority to investigate. Consumers contacted by such scammers should file a complaint with the FTC. Consumers concerned they may have revealed sensitive information in a phishing or smishing scam should contact their bank or credit card company, if applicable, and monitor their bank statements, credit card bills and credit reports to watch for suspicious activity. The crash that killed 6-month-old Enzo Williams was one year ago Thursday. Williams was riding in the back of a stopped car on Highway 303 when the car was rear-ended by a driver who pleaded guilty recently and was sentenced to prison for vehicular homicide. See the page for yourself here. 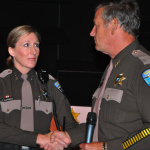 Krista McDonald — the Kitsap County Sheriff’s deputy and hero on that January day when a Utah man shot two of her fellow deputies at Walmart — was awarded the sheriff’s office’s highest honor at a ceremony in September. McDonald was awarded the medal of valor by Kitsap County Sheriff Steve Boyer. Seeing two of her fellow officers wounded by a Utah fugitive, Kitsap County Sheriff’s deputy Krista McDonald engaged the suspect, Anthony A. Martinez, hitting him in the knee with a hollow-point bullet fired from her .40-caliber Glock, bringing him to the ground from 60 feet away. A sheriff’s certificate of appreciation was awarded to David Wilson, a Harrison Medical Center nurse who helped at the scene before medics arrived. Deputies Troy Graunke and Mark Gundrum and reserve deputy Darryl Barnes were awarded sheriff’s commendation for their response to the scene. And last, but most certainly not least, deputies Andrew Ejde and John Stacy, wounded by gunfire, were presented law enforcement’s purple heart medal and the medal of courage. 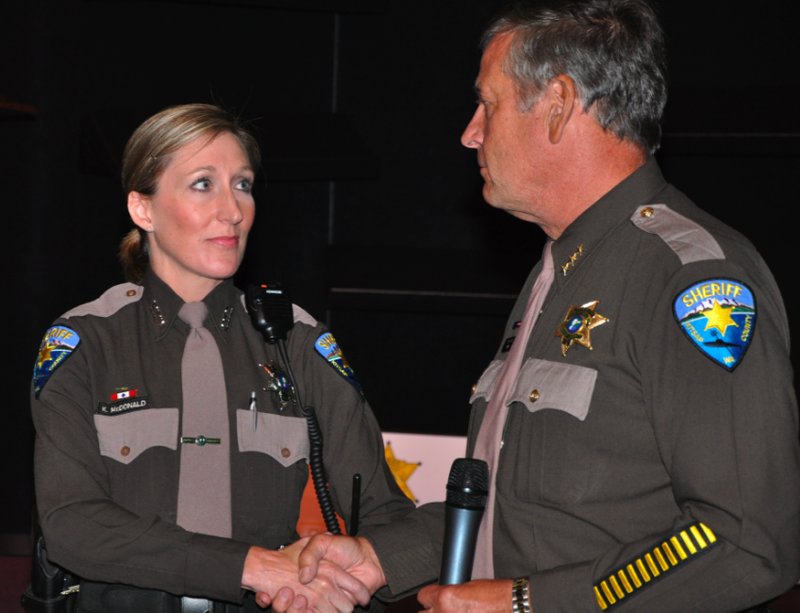 The National Sheriffs’ Association’s Award of the Medal of Valor, was also presented to Ejde, McDonald and Stacy. Criminal trials can take a lot of time to prepare for. Sometimes months — and sometimes even a year or two. We’ve received some calls and emails to the newsroom about one particular case — State of Washington vs. Darlene Green — that you may recall is ongoing in Kitsap County Superior Court. Green’s trial, after numerous delays — known as “continuances” in the criminal justice world — is now slated to start about two months from now, on Dec. 5. Green is charged with the second-degree murder of her husband, William “Bill” Green. She was arrested by Kitsap County Sheriff’s deputies June 18, 2010, after she called her two sons to tell them she’d shot him, according to court documents. Deputies found the 81-year-old Bill Green dead in the living room of the couple’s Illahee Road home. Green told deputies in an interview that she’d shot her husband because he told her to. Deputies had been called to their home for domestic violence issues in the past. On Sept. 9, prosecutors filed an additional count of first-degree manslaughter to go with the murder charge. From documents filed in the case, it appears that part of Green’s defense is that she had the victim’s consent — a point prosecutors say is not acceptable to raise at trial. Deputy prosecutor Kevin Anderson argues that promoting a suicide attempt is itself a crime and is therefore not a valid defense. It looks as though the defense will file a brief on that issue as well, but it doesn’t appear to yet be in the court file. Green posted $500,000 bail in November 2010 to remain out of custody prior to trial. The same strange Italian justice system that swallowed Amanda Knox four years ago has now let her go. I don’t have much to add to her homecoming here in Seattle, but I feel it would be a disservice to the blog to ignore this mammoth criminal justice story entirely. I’ll leave it to you if you’d like to discuss it. Should medical marijuana patients be allowed to have guns? More and more people in Washington are going and getting their medical marijuana authorizations. Indeed, around the country, 16 states now allow people with qualifying conditions to possess marijuana, despite its longstanding federal prohibition. That hasn’t stopped federal agencies from chiming in over medical marijuana issues. The latest blowup concerns a medical marijuana patient’s right to bear arms. A memo to federal firearms licensees from the assistant director of the federal Bureau of Alcohol, Tobacco, Firearms and Explosives is lucid in its belief medical marijuana patients are prohibited from having guns, according to a recent article in USA Today. I’m interested to hear from folks on the Kitsap peninsula regarding this topic. Should having a medical marijuana authorization prohibit someone from having guns?